Do you know what the hardest task is for all couples planning a wedding? You guessed it creating the guest list. From our recent and past couples, it normally takes about 2-3 months for them to complete this task. I know, I know….2 to 3 months you say. However, between you and your fiancé’s guest list and your parents guest list (yes, your parent’s list), this is why this task takes so long to complete. So we have put together some tips so this task won’t be so daunting. Start by compiling a list of everyone you would like to attend your wedding and I do mean everyone. vendors (photographer, videographer, dj, planner and assistant). This vendors will be there either all day or part of the day and need a meal. Work Friends ( you can’t invite everyone from work, we recommend inviting them to the showers that way they can celebrate this special occasion with you. A lot of times we over analyze “the list” but honestly this is your day. You shouldn’t be worried about what someone is going to say if they don’t get an invite. We hope these tips are helpful and help you through this process. 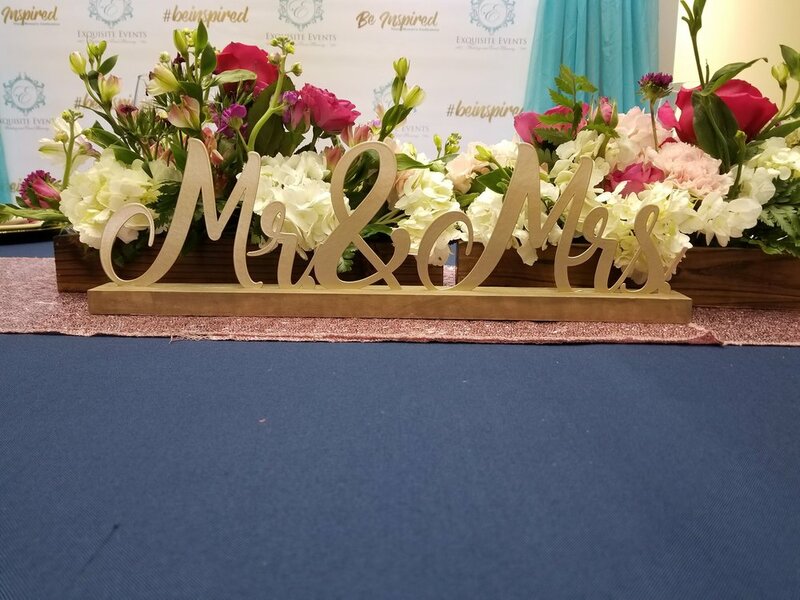 Exquisite Events Wedding and Event Planning offers Wedding Day Management Services formerly known as Day of Wedding Coordination, Partial Wedding Planning Services, Full Service Wedding Planning Services, and Event Design Services for all your Social Events. 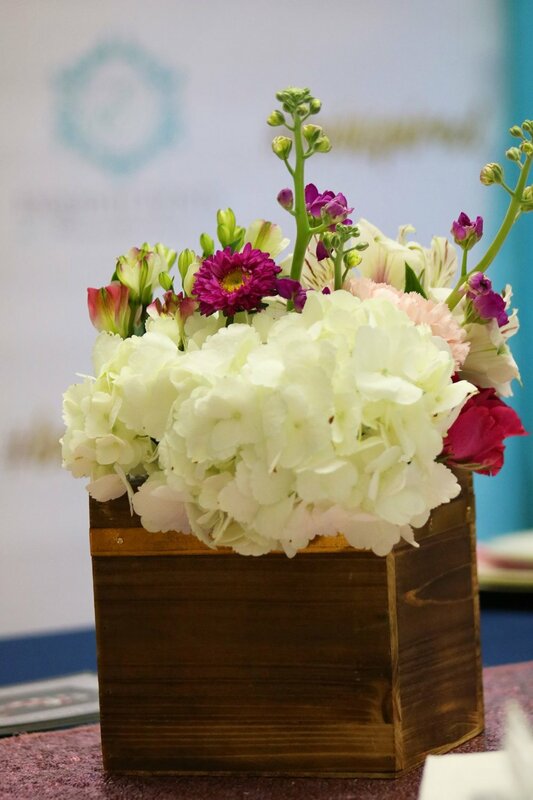 Exquisite Events Wedding and Event Planning caters to Weddings and Events in Greenville North Carolina, Raleigh North Carolina, and surrounding Eastern North Carolina Wedding locations and Worldwide. 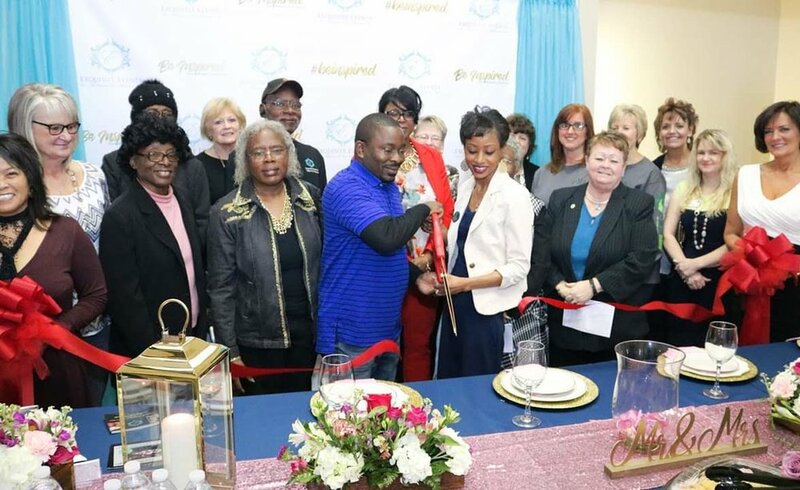 We, Exquisite Events Wedding and Event Planning, finally became officially official on March 22, 2019 when we held our ribbon cutting ceremony at the Kinston-Lenoir Chamber of Commerce located downtown Kinston, NC. 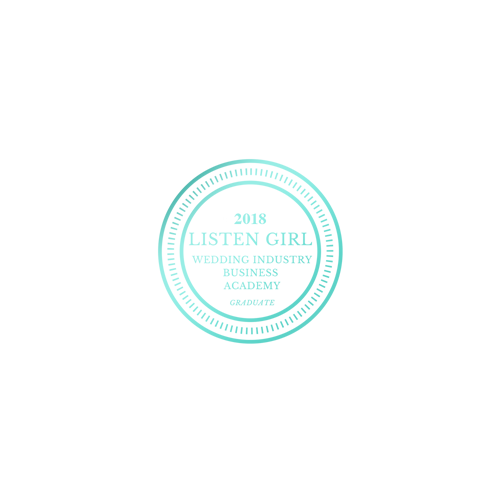 Exquisite Events Wedding and Event Planning, LLC was started in March of 2015. As with any small business starting we know its crucial to plan the first years with providing potential clients with information regarding who you are and what you can provide for them. Along with networking with industry professionals. Exquisite Events would like to thank everyone who came out on our special day to celebrate with us, our team of volunteers who are always there to help, the Kinston-Lenoir Chamber Committee and Members, our past clients and our future clients, our wonderful industry professionals, family, and friends. We are excited to see what God has for us. Exquisite Events Wedding and Event Planning Raleigh, New Bern, Wilson, Goldsboro, and Greenville North Carolina. Pouring into the hearts of young women is something our owner, Natosha Graham, has had a passion for and putting together a young women's conference seem to be a great way to do just that. 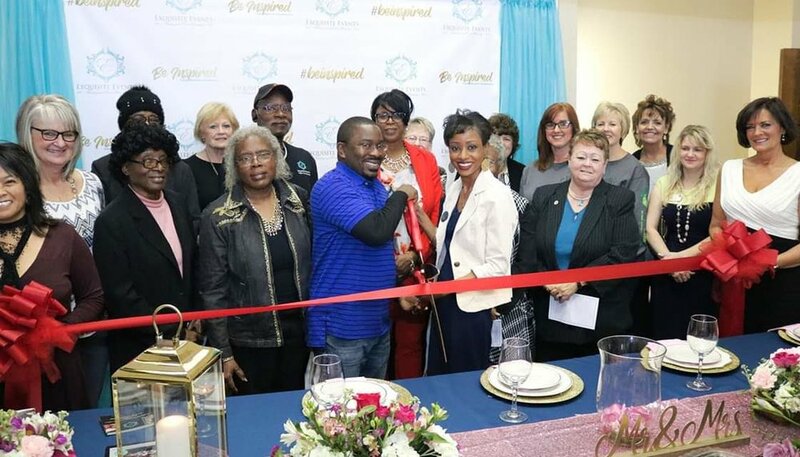 June 2, 2018 we had our first of many young women's conference held at The Community Council of the Arts located in Kinston, North Carolina. 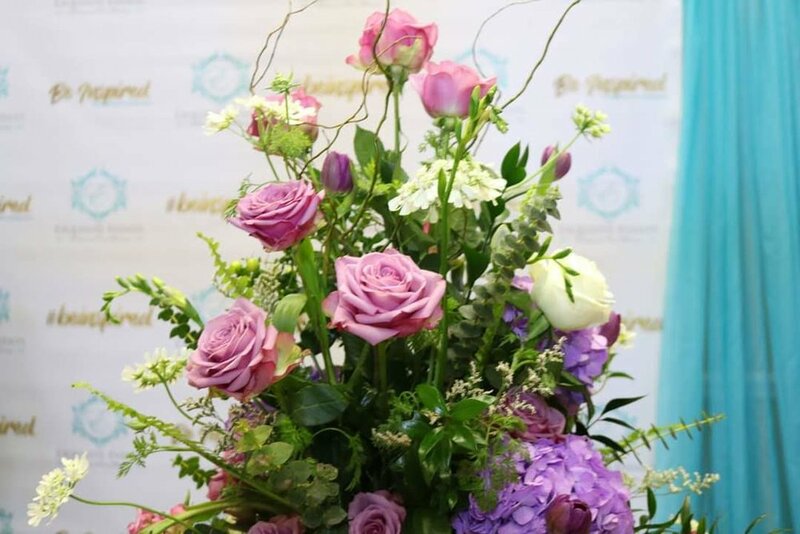 The conference is designed to give young women between the ages of 16-25 motivation and inspiration to be great as they venture down their path in life. As well as providing helpful information to help them along the way. This year's topic was Finding & Loving Yourself. We brought in speakers that spoke on natural hair care, make up tips and tricks, appropriate undergarments, and more. Our keynote speaker was Jasmine Armstrong (Ms. Black NC 2018) who is a nationally certified, and licensed Recreation Therapist who graduated from East Carolina University in Greenville, North Carolina and she also owns Heart of the Matter. "When I was around 14-15 years old, my mom left my dad, my brother, and I. I did not have a female presence in my life to teach me things that a young women should know, so I had to figure it out on my own," states Natosha. "I want young women to know that they can push forward and get through the obstacles they may face. This conference will be an annual event and we will have a specific topic (dating, finances, single mothers, etc) each year. Let's support, encourage and motivate our youth as much as we can. They are our future! Exquisite Events Wedding and Event Planning Raleigh, New Bern, Wilson, and Greenville North Carolina. Exquisite Events Wedding and Event Planning caters to Weddings and Events in Greenville North Carolina, Raleigh North Carolina, and surroundingEastern North Carolina Wedding locations and Worldwide. One of the most difficult decisions a couple has to make is what gifts to give the wedding party attendees and usually the groomsmen gifts are the difficult. We went on a search to suggest just a few ideas to help you. 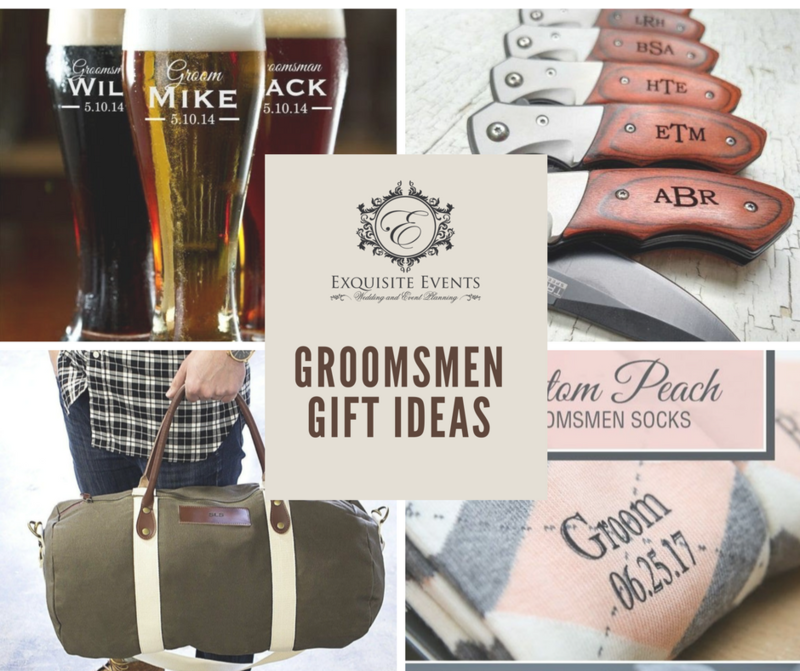 We did have the pleasure of asking a past groom how did he go about choosing his gifts and he stated " I choose to pick different gifts for each of my groomsmen that was unique to their personality. I didn't want to get them all the same gifts because that seemed impersonal to me." 5 Tips on what to do next when you say, "Yes"
We are going to keep the blog short, sweet, and to the point. 1. Tell everyone! : It's your turn. Don't be shy and not share. 2. Talk to a planner: Whether you decide to hire a planner or not. A planner can educate you on many aspects of planning a wedding especially the cost. Planning a wedding is a lot bigger than planning a small event. 2. Select a date: Every wedding professional you contact will ask this when you reach out to them. 3. Select a guest count: This will change many times, lol. Just set a max. 4. Select a style of wedding you would like to have. Exquisite Events Wedding and Event Planning Raleigh, Garner New Bern, Wilson, and Greenville North Carolina. Its the most wonderful time of year and it's time to deck those halls or at least your home. We know that walking through the department stores Christmas section can be a little overwhelming. As well as what areas in your home to decorate. So we decided to give you a few tips to help you this holiday season. What areas of your home to decorate? Now if you are one of the ladies or gentleman and Christmas is your favorite holiday you'll probably decorate your entire home (inside and out). But those of you who don't have a lot of time to, here are a list of areas we recommend. We recommend decorating your main living space, your dining room/kitchen table, and/or fireplace mantle. Now we are going to give you a few tips/pointers for shopping, setting up your decorations, and storage. Use electrical cords and lighting that specifies outside use. Exquisite Events Wedding and Event Planning Raleigh, New Bern, and Greenville North Carolina. Eastern North Carolina Wedding locations and Worldwide. As we exit the peak wedding season and enter engagement season, I know all the engaged ladies are looking for the perfect dress. You've been flipping through countless magazines and searching the internet for "the dress". So we put together some tips to help you on your wedding dress journey. Schedule an appointment at the bridal shop. Most shops will have a consultant to help you try on dresses. Don't wear makeup. You will be trying on a lot of dress that day and most will go on over your head. Bring at least 2-4 people to help you make a decision. If you invite more you could get overwhelmed with everyones opinions. Bring some water. You will get tired,lol. Try on different styles. You will be surprised at what you may like once its on you. If the shop allows, take pictures. You may can't remember how you looked in dress once you leave. Don't rush making a decision. Visit other shops to see what other designers they may can offer you. Don't be afraid of color!! Try a blush or ivory wedding gown. When you feel you have "the one", let them jack you up!! Add the other accessories, your consultant should be able to pick the perfect accessories to go with your gown. If you decide to plan your wedding yourself, you may decided to use a rental company for your special day or event. Most rental companies has a wide range of products to chose from such as linens, napkins, chairs, tents, etc. Here are a few tips to help you along the way when renting from a company. Consider delivery and setup provided by the rental company- This will save you from having to pick the items up yourself and return them. Most weekend rentals are due back Monday if same day pickup is not available. Count items at pickup and return-If you decide to pick up be sure to count the items as they are being loaded. You don't want to realize while setting up you are missing items. If renting dinnerware we recommend to sanitize the items again. Upon returning- make sure everything is accounted for and signed off that all was returned. in Greenville North Carolina, Raleigh North Carolina, and surrounding Eastern North Carolina Wedding locations and Worldwide.